The Acting Inspector-General of Police (IGP), Mohammed Adamu, yesterday launched a special operation to tackle the increasing rate of kidnapping and robbery on the Abuja-Kaduna highway. ‘Operation Puff Adder’, according to Adamu, is a well thought out and major operation aimed at re-dominating and reclaiming the public space from heinous criminal elements bent on threatening the internal security order. It will cover Abuja-Kaduna highway and the adjoining communities and extend to Kogi, Katsina, Niger and Zamfara states. Adamu, speaking at the event, said:”To the criminal elements, let me sound this note of warning loud and clear: give up your criminal activities, embrace other legitimate means of livelihood or be prepared for the consequences of your criminality. The IGP said crimes, particularly those that endanger the lives and property of citizens, do not represent the traditional values as a people. “No nation develops to its optimal potential in an environment of crimes and fear of criminality. “Unfortunately, the activities of organised and murderous criminals across the country have evolved to become a threat not only to these values but to our internal security. “There must, therefore, come a time in the life of a nation when we, as a people, must strengthen our will and resolve to mobilise and deploy all our assets towards confronting these criminal elements. “Take the battle to their doorsteps and make a clear statement that the few deviants among us cannot and will not re-order our cherished national values. “The time is now and today’s action by the police is aimed at this direction and it is in direct compliance with the directives of Mr President to the police, to re-evaluate and emplace new operational strategies. 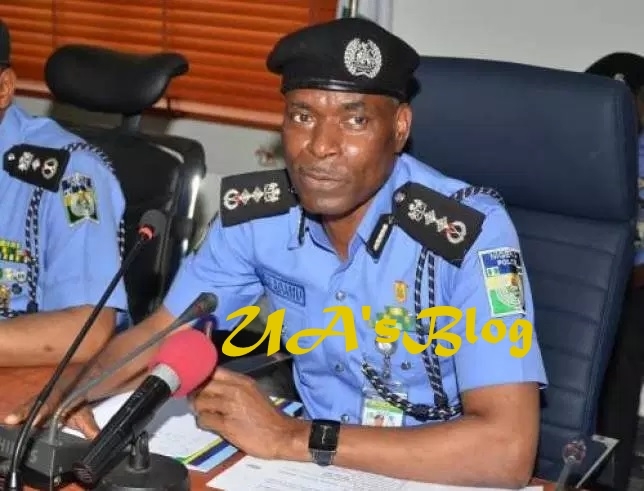 Adamu said as a lead agency in internal security management, the police under the current dispensation, acknowledge that the duty of securing the lives and property of the citizens is its primary mandate. He noted that no police agency anywhere in the world, no matter how well-trained, equipped or motivated, can solely achieve its community security and safety mandate.